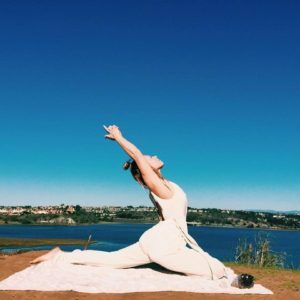 Kayma Englund is a 500-hr Yoga Teacher, Reiki Master and owner of Paradise, a Crystal Shop and Healing Center in Carlsbad Village, The teachings of yoga, philosophy and energetics have been with her from a young age and she is incredibly passionate about sharing this empowering and transformative wisdom with all who are ready. Her classes are open to all levels of experience and stem from her Yoga Training experience and personal practice incorporating a thoughtful and creative blend of classical Hatha Yoga, Vinyasa Flow and Yoga Therapeutics paired with exploration of the subtle energetic body. She looks forward to seeing you in class at The Carlsbad Village Yoga Co-op! It is just on the other side of town!